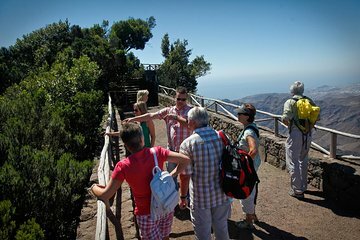 Discover the northern region of Tenerife in a day on this guided tour from Puerto de la Cruz. Stroll through the streets of Cristobal de la Laguna, a UNESCO World Heritage Site. Then, visit Anaga Natural Park, and Las Mercedes Mountain to see the region's rain forest. Stop for an included lunch before visiting Santa Cruz de Tenerife, the capital of the island. Very good tour. Guide spoke reasonable English. For us there was too much time in La Laguna and not enough in the forest. Meal provided was ok, but not exceptional.